Apart from the obvious reasons to love Christmas, we love the holiday season because of the time we can spend with family. We spend it holiday baking, going sledding, sipping hot cocoa, and crafting. 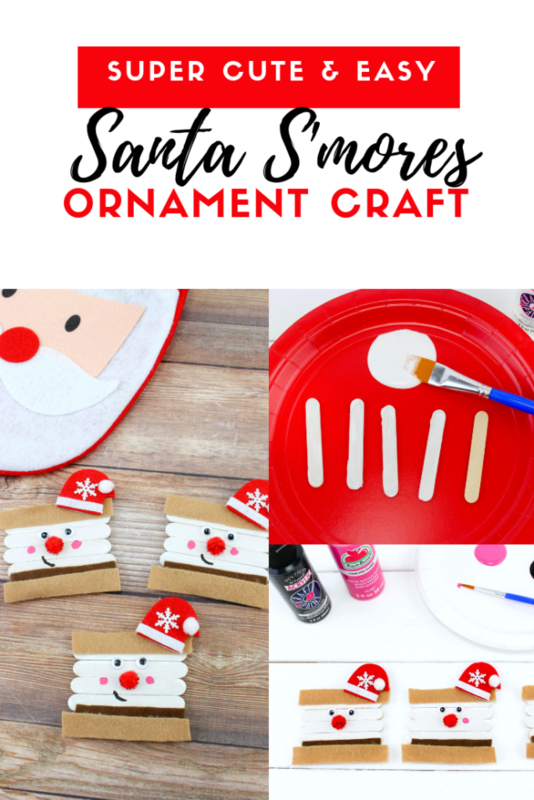 If crafting is a big part of your family’s Christmas routine, make this super easy and cute Santa S’more ornament craft. While we love to have pretty ornaments on the tree, our very best and favourite are always the ones the kids make. After all, family is what it’s all about. Plus, the ornaments they make have so much character and are almost always adorable! I’m happy to share that I’ll be adding quite a few Holiday-themed crafts and recipes. For example, if you like this craft, you’ll love our Felt Gingerbread Man Christmas Ornament, super adorable Unicorn Christmas Ornament, Angel Ornament, and you’ll love my ELF cupcakes and Santa Belt Chocolate Covered Oreos, and Christmas Blondies. 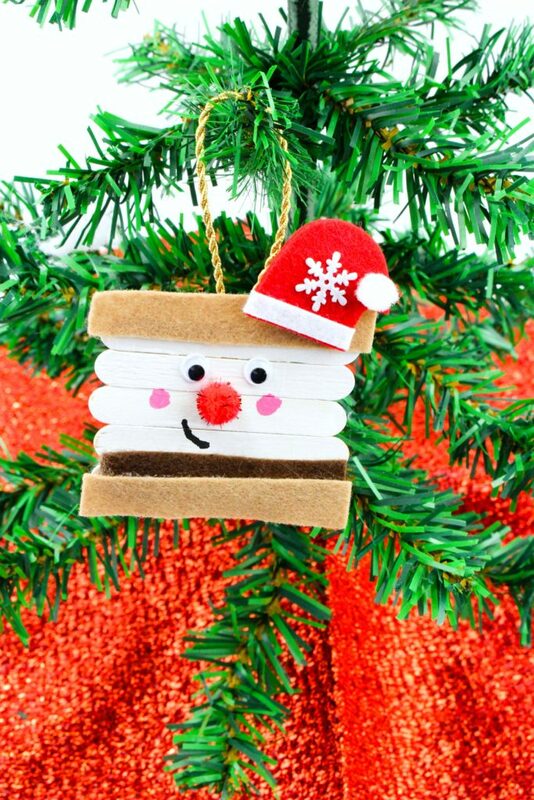 For now, read on for the step-by-step guide to make Santa S’more ornaments. 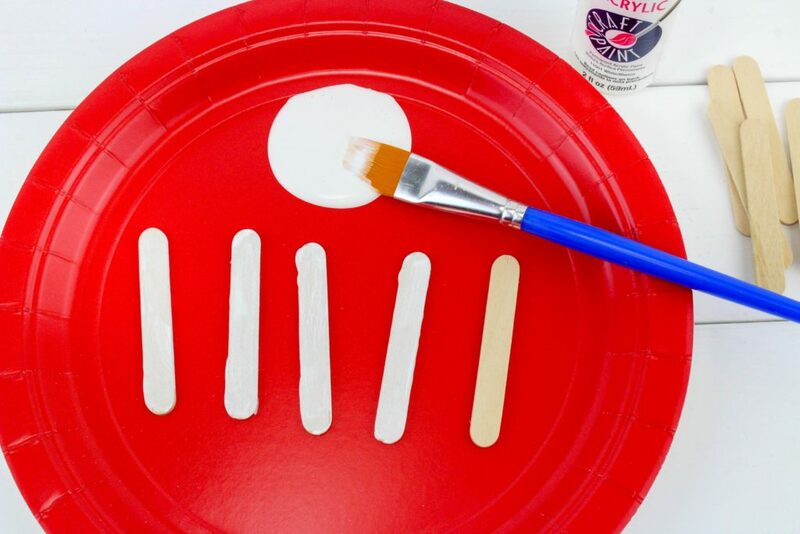 Paint 5 craft sticks white and let dry, these represent the Marshmallow. 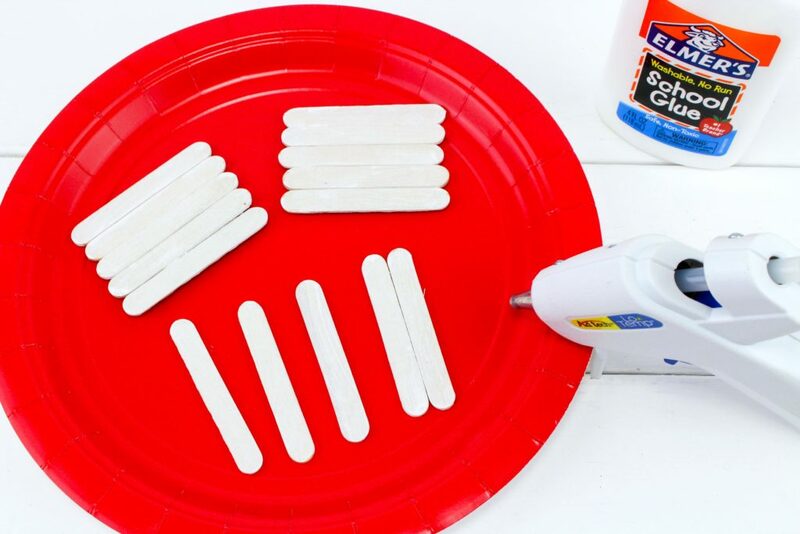 Once dried, glue all 5 sticks together. The hot glue will be quicker, but Elmer’s glue works as well, it will need a lot more time to dry though. 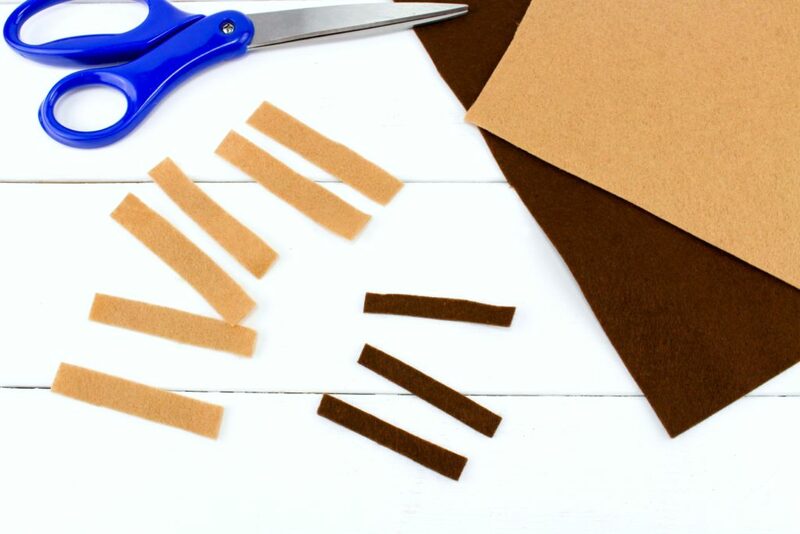 While those are drying, take the tan felt and cut 2 rectangles the size of your mini popsicle sticks, this will represent your graham crackers. Then, cut one rectangle with the brown felt, this will represent the Chocolate. On the bottom of the sticks, glue on the chocolate piece of felt. Then glue on the graham cracker felt over the chocolate but make sure to not to cover the entire piece. 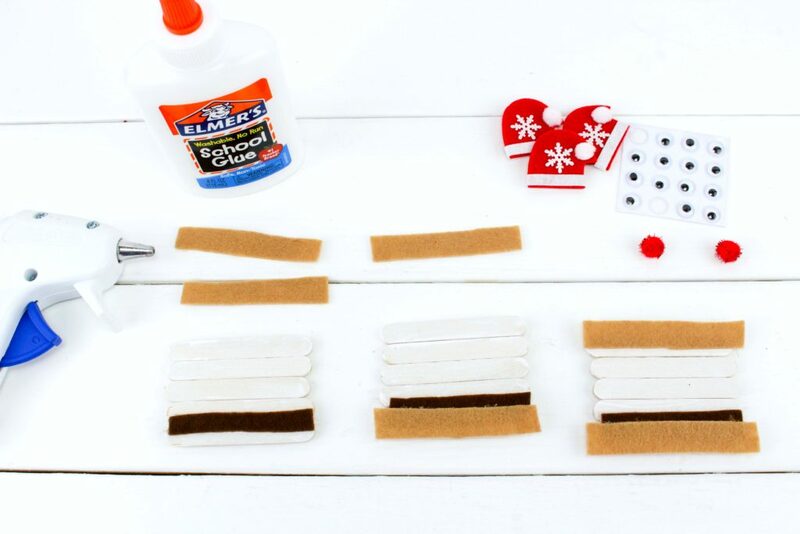 Glue a graham cracker piece on top as well. Next, glue on 2 eyes and a red pom nose on the Marshmallow sticks. Then, glue the Santa hat on the top right corner of the graham cracker felt. With the black paint, draw on a half or full smile and with the pink paint, draw on two rosy cheeks. Optional: Add string and make into a Christmas tree ornament or add a magnet and place on the refrigerator. 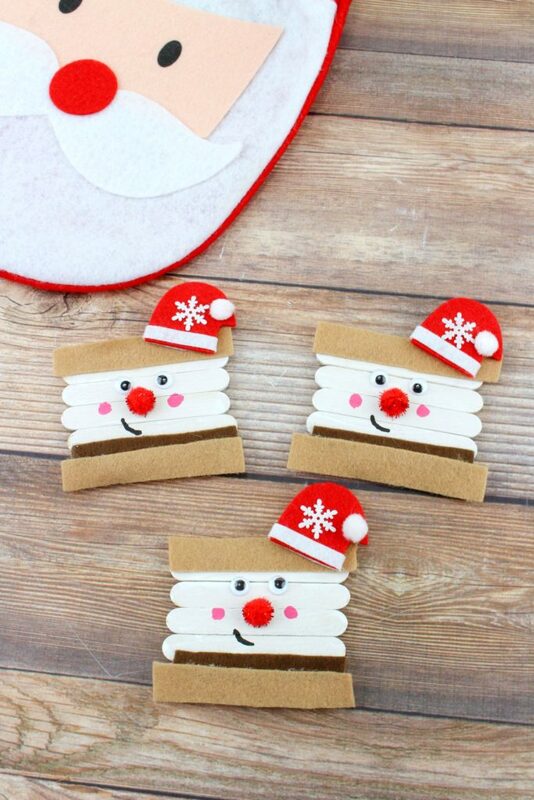 There you have it, these Santa S’mores craft is absolutely adorable. I love that you can customize it by either adding a ribbon to hang on the tree or gluing a magnet on the back to add to the fridge. Don’t forget to add your child’s name and the year. That way, you can look back on these masterpieces for years to come! If you liked this craft, you might like to try our Felt Gingerbread Man Christmas Ornament, super adorable Unicorn Christmas Ornament, Angel Ornament, and you’ll love my ELF cupcakes and Santa Belt Chocolate Covered Oreos, and Christmas Blondies. 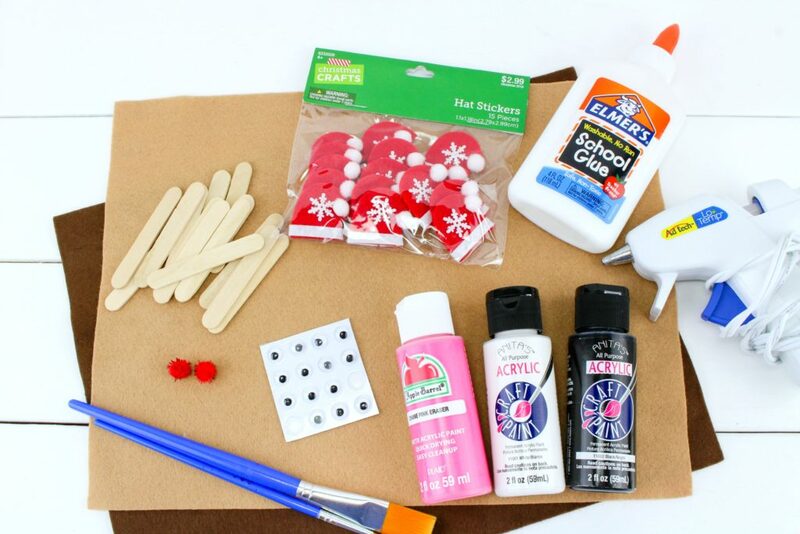 Do you make your own sentimental ornaments? 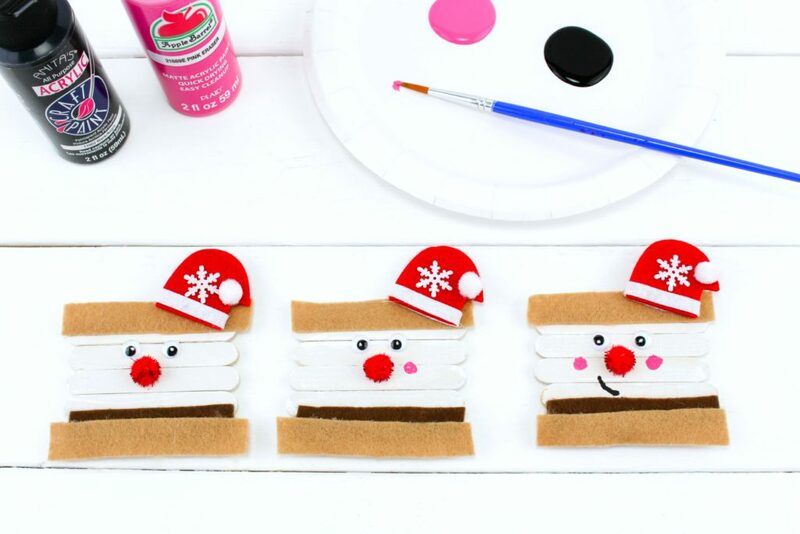 this could not be cuter and my kids are def going to enjoy making this when i get all the supplies ha! thanks so much for sharing something so easy and fun to make together! These are the cutest ornaments. I’ve been looking for a craft to do with the grandkids and this is it. 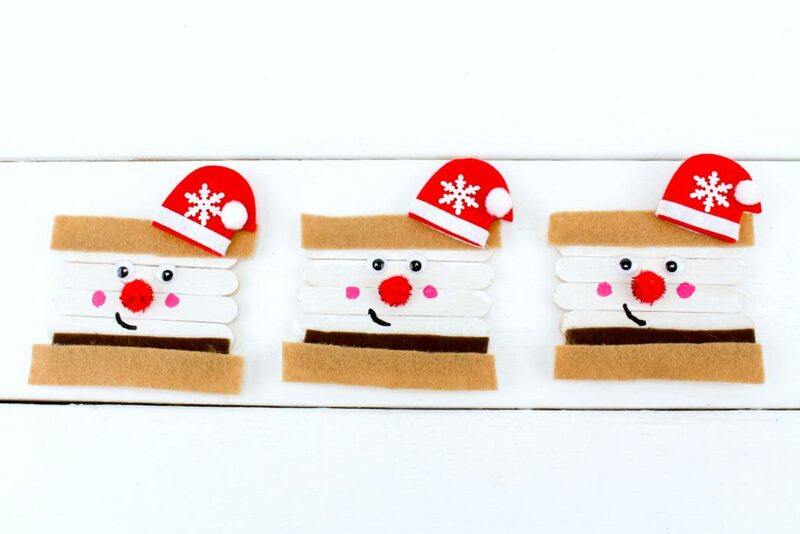 I love these Santa s’mores! Aww, this is a fun one! 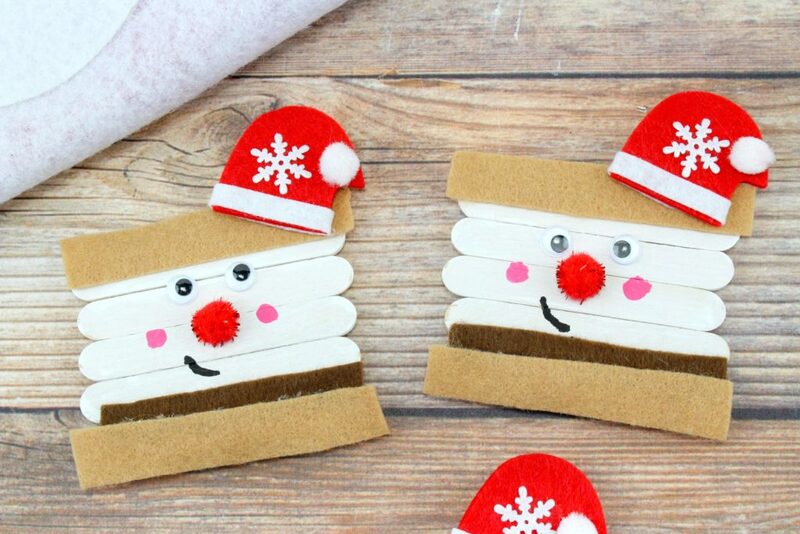 That Santa is so cute and looks like a fun craft to do with younger kids. I will keep this in mind for when I watch my nieces and nephews. Awesome, it will be here! Yes, it really is cute! How cute are these ornaments?! This would be the perfect craft to do with my kiddos this holiday weekend. Yes, it is a great craft for those days. 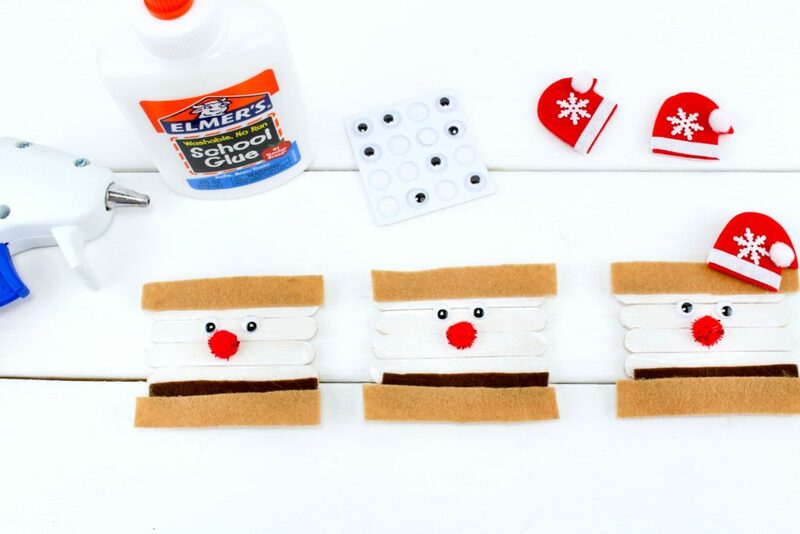 This sure looks like a fun crafts to make with the grandkids on a snow day! Yes, perfect for days like that! This is a cute idea! I’ll have to make this with my daughter. She’s been wanting to make more things and I’m not very crafty, so I never know what to do. Aww, this is the perfect one! My girl loves xmas crafts! great inspiration! Awesome, I hope you like it! One of the reasons I love this so much is I LOVE S’MORES! I made S’MORES nachos in my oven in the winter when it’s too cold to make real ones. I am so making this! I love this idea! I’m definitely going to have my girls do this. They would love it too. Oh, this is so cute. There’s nothing sweeter than decorating a tree with homemade ornaments. Yes, it is the best! I’m totally doing this with my youngest granddaughter for her gift to mom and dad. Too late to order so hopefully I will find mini stick at Micheal’s I can make the hat. Easy enough. So cute. Awww, that is awesome. Have fun! Perfect to keep them busy, that is for sure. Such cute projects that the entire family can do. This is fun especially if you have kids as helpers. Yes, perfect for the whole family! omg! these are soooo cute! just pinned. 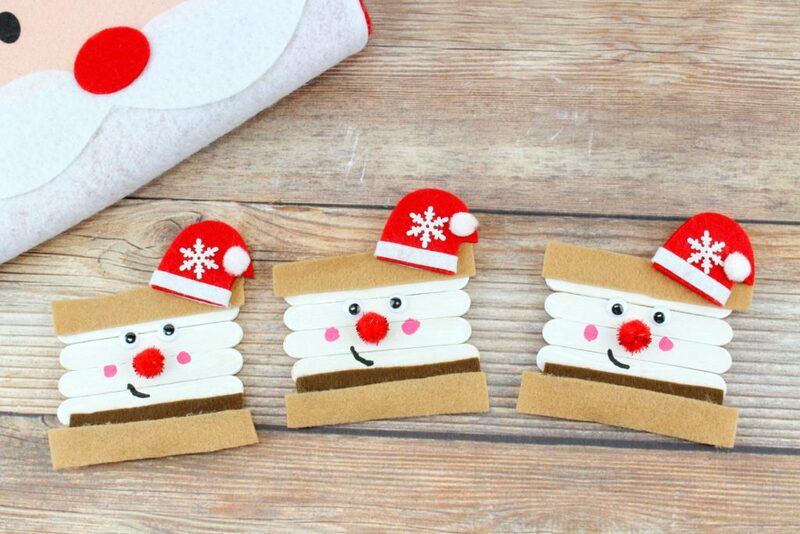 i totally want to make these before christmas! Those are so adorable! This is such a great idea. I love them! I’m certainly going to try making these with my daughters. How cute! Awesome, and so easy too! Have fun. Wow, this so cute. I would love to try making this on my own too. So nice surely kids will love it. Awesome, hope you can make one! Oh I LOVE this! What a fab idea and my kids would think they are adorable! I love it, so going to make them too! Awesome, I hope they have fun. I order the stick on Amazon.ca but they didn’t have the little hats. I was able to find them at the dollars store. So glad you found them! What a cute ornament to make with the kids. It will look amazing on the Christmas tree! We shopped at $store yesterday and found some great items to craft with the grandkids next weekend when they visit ! Oh my word. These are absolutely adorable! I am going to have to make these with my kiddos this weekend! We’re making these tonight at Girl Guides – Girl Guides and S’mores go hand in hand so this is perfect! Aww, that is so awesome. I know they will turn out great! !